From Washington Township to the Middle East, Lt. Junior Grade Jackie Callahan has immersed herself in the Arab culture as a surface warfare officer in the U.S. Navy. A member of the Washington Township High School class of 2010 and former member of the Air Force ROTC program, as well as the Naval Sea Cadet Corps, Callahan graduated from the Naval Academy in Annapolis, Md., in 2014. 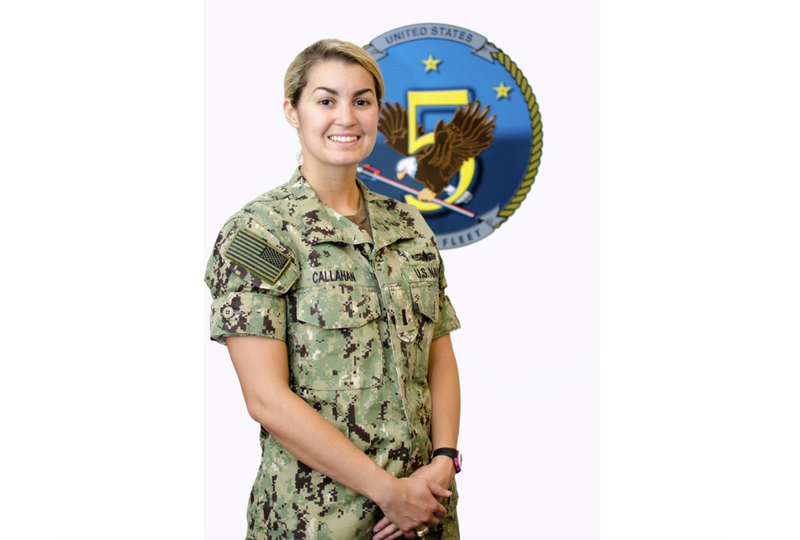 For the past 10 months, Callahan has been stationed at the Manama, Bahrain, Navy Base, forward deployed to the Arabian Gulf in the U.S. Navy’s Fifth Fleet. Callahan said her task force with the Naval Forces Central Command handles the operations of approximately 25 war ships within approximately 2.5 million square miles of water, including the Arabian Gulf, Red Sea, parts of the Indian Ocean and Gulf of Oman, controlling the free flow of commerce with merchants traffic through three major choke points, the Strait of Hormuz, the Suez Canal and the Strait of Bab al Mandeb at the southern tip of Yemen. Callahan said her favorite part of her job is the real world application, with everything seen on the news involving the waterways and national defense coming from the unit she works with. So far, Callahan has had the opportunity to travel throughout the Middle East, thanks to her position in the military, having explored the UAE, Djibouti and Oman. Her favorite visit was to Dubai. With eight months left in Bahrain, Callahan already has her eyes set on what is next. When she returns home to her family in Washington Township, she hopes to attend graduate school to obtain a master’s degree in business, that is, after she gets her fix of pizza and the Philly Pretzel Factory, her favorite.